So, I got one of the new Arrandale MacBook Pros a few weeks ago, and I just realized I haven’t commented it yet. I went with the base model; a 2.4 GHz Core i5 with the normal resolution glossy screen. This allowed me to get an Apple Wireless Keyboard, a Mighty Mouse, a Mini DisplayPort to DVI converter and Parallels Desktop 5 and still stay within the same budget as I would have used on a Lenovo T510 with a docking station, which was my plan B. My work mostly consists of administrating our server farms, which means that most of my time is spent remote controlling machines anyway, using RDP, ssh and a Citrix connection in that order right now. I use the opensource Cord remote desktop tool, which provides me with functions Microsoft’s own MSTSC application doesn’t: an alphabetical list of servers, non-standard resolution to connect to servers without the dock or menu bar getting in the way, instant switching from full-screen to windowed mode, including scaling so the resolution is kept when going back to windowed mode, etc. For my mail and productivity needs, I’m actually using Apple’s own tools; Mail and the iWork suite. 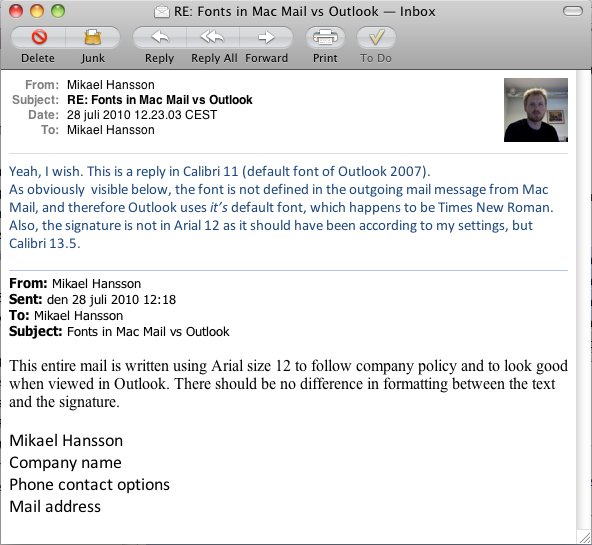 The Snow Leopard version of Mail has no problem at all connecting to our Exchange 2007 server, and from what I’ve read, it should keep working just fine when we upgrade to Exchange 2010. It also is lightweight and lightning fast in all operations. Parallels hasn’t actually seen much use on my computer yet. I’ve installed a Win7 and an XP client as a security measure, if I would encounter anything that needs the Microsoft environment, but I simply get everything done from OS X, and so I’ve had no real use for these virtual machines yet. The glossy screen hasn’t been any problem in real life either. I’ve seen a lot of complaints on it, but I don’t know, maybe I’m simply not a gamut nazi. Everything looks good, and if I should get glares, I can simply change the angle of the screen, or move the computer a bit. It’s portable, you know. And for the first time for me, the laptop screen is brighter than my main screen at work, which means I can turn the brightness on the MBP down about three notches and use it comfortably as a secondary screen. Trying something similar with my old Lenovo T60 was extremely uncomfortable. One drawback compared to a Microsoft based workstation has been using our SharePoint based Intranet system: It’s not possible to click-to-open and then automatically save documents to the SharePoint server even from Microsoft’s own programs, but instead the procedure is to check out, download, edit, save, upload and check in the document, which gets tedious after a while, so for this kind of work, I’ve started using Citrix. The second drawback (which might just be a configuration problem), is that the default for a Citrix desktop connection seems to be to use all available desktop space and still not show the Start menu bar, so you have to resize the window before you can access it with the mouse, and also, I need to start it running the computer in single screen mode, or it will drag itself out on both screens no matter what. UPDATE: This seems to be related to starting the Citrix client via Safari. It doesn’t do this when running Firefox. The third problem was something I managed to solve: The Juniper SSL/VPN client we use at work isn’t compatible with Snow Leopard, and has to be hacked to work properly. UPDATE: The version 6.5 client seems to fix this problem. Update your SSL/VPN server if you’re having this problem. So to sum it all up, I’m a happy Mac-wielding camper. I won’t ever become a fanboi – I’m way too pragmatic for that (2016-10-17: OK, I admit, dammit, I did become one) – but for my laptop needs, the MacBook Pro is very close to being the ultimate solution. It’s snappy in a way that no Microsoft-based machine has ever felt to me since I moved away from DOS, and it’s instantly useful in a way that no GNU/Linux or Free-/Net-/OpenBSD distribution has managed yet. Alright, so Apple released their new Macbook Pros, with update to the whole series. The 13″ versions retain the Core 2 Duo processors even though they are approaching end of life. Why? Well, the Core ix series of processors contain built-in Intel GPUs. 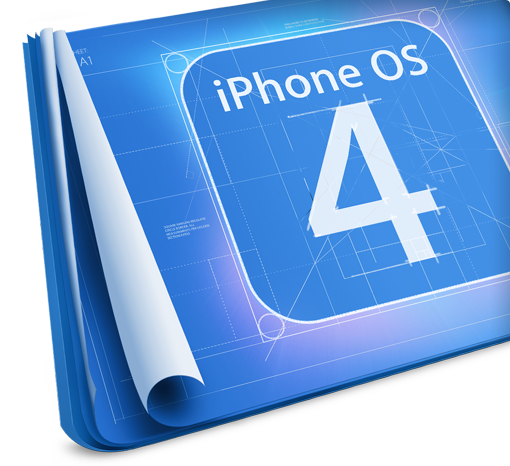 Problem is, they are limited enough to not support the 3D accelerated interface features of Mac OS X. On the other hand, there’s the combined problem of making room for separate video RAM on the mainboard, and Apples policy of nerfing their cheaper products to not interfere with their more expensive product lines. A more powerful 13″ MBP would probably interfere with sales of both the Air and the base 15″ MBP. 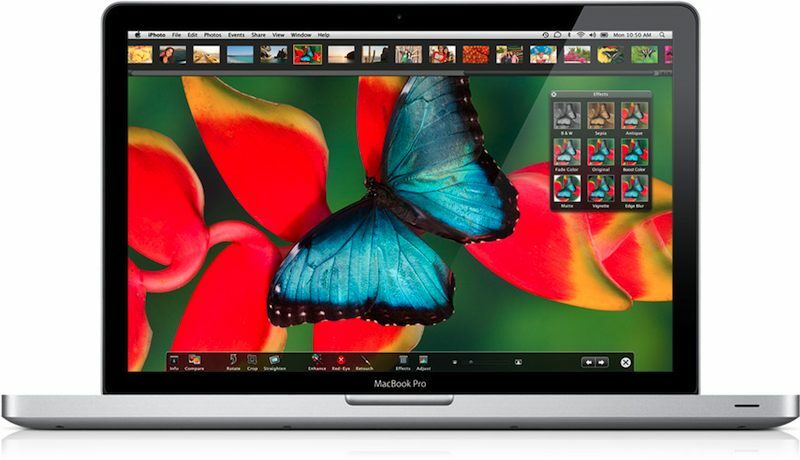 The 15″ MacBook Pro series gains Arrandale Core i5 and i7 processors and a slightly more powerful graphics adapter. New for this update, is that even the base model has dedicated graphics memory, and that switching between the integrated and the dedicated adapter is automatic and doesn’t require relogging into the system. The new series also have the option of a high-res display – not HDTV-style 1080p resolution, but a work-friendly, and, if you ask me, “good enough for most things” 1680×1050. Well, this hasn’t really scared me away; I wouldn’t exactly mind owning a base- or midrange 15″ with the hires screen. We’ll simply see what happens. Also, I really like the bump in battery time. A claimed “up to 10 hours” on the 13″ models and “up to 8 hours” on the bigger ones, means these machines are actually usable even when you don’t know if you can get hold of a power cord during the day. I guess they finally decided to release the new MacBook Pros. Updates will follow as soon as I have more info.